By Joseph A. Califano Jr. If you’ve been watching the news and worrying that our democracy no longer works, this book, “a cri de coeur from one of our wisest Americans” (Michael Beschloss, Presidential Historian), will help you understand why you’re right. There is colossal concentration of power in the Presidency. Congress is crippled by partisanship and hostage to special interest money. The Supreme Court and many lower federal courts are riven by politics. Add politically fractured and fragile media, feckless campaign finance laws, rampant income and education inequality, and multicultural divisions, and it’s no wonder our leaders can’t agree on anything or muster a solid majority of Americans behind them. With decades at the top in government, law, and business, Joseph A. Califano, Jr. has the capacity to be party-neutral in his evaluation and the perspective to see the big picture of our democracy. Using revealing anecdotes featuring every modern president and actions of both parties, he makes the urgent case that while we do not need to agree on all aspects of politics, we do need to trust each other and be worthy of that trust. He shows how, as engaged citizens, we can bring back systems of government that promote fairness and protect our freedom. “It’s hard to argue with [Califano’s] analysis” (The New York Times Book Review) that the longer we wait to fix these problems, the more dangerous our situation will become. Joseph A. Califano, Jr. spent thirty years in Washington at the top of the Pentagon, on the White House staff as chief domestic advisor to the President, and in the Cabinet. He worked as an attorney for The Washington Post during Watergate and has represented clients as varied as the Black Panthers and Coca Cola. He also spent years on Wall Street and served on more than fifteen public company boards and numerous not-for-profit boards. He is founder of The National Center on Addiction and Substance Abuse at Columbia University (CASA). He has written fourteen books, including Our Damaged Democracy. He lives in Westport, Connecticut. "Regardless of your political philosophy, we can all agree Washington is not just dysfunctional, but broken. 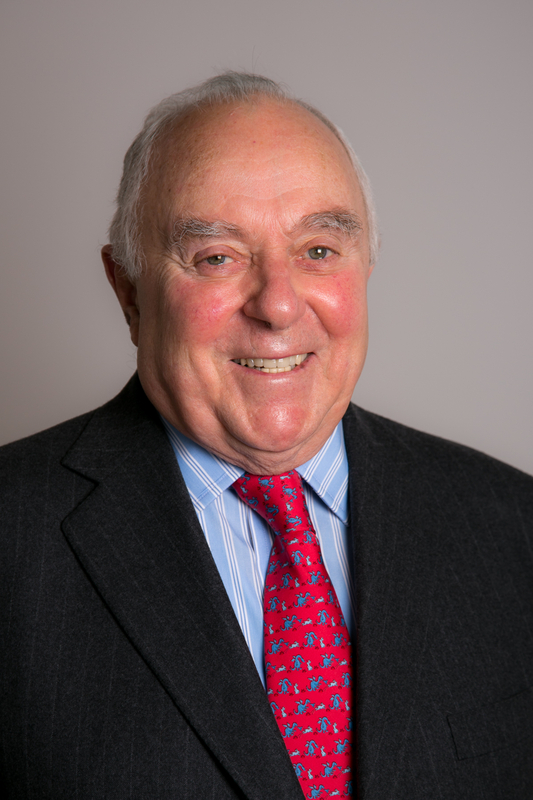 Drawing on both his significant experience in public service and important historical lessons, Joe Califano addresses the serious challenges facing our nation and why it is incumbent on our citizenry to repair America's damaged democracy." "No sacred cows in this well-referenced and documented book. Califano lays it on the line about the present state of American democracy, how we got here, and how we can save it. Couldn't be more timely." "In this enlightened, entertaining, and rigorously non-partisan book, Joe Califano succinctly details the forces that have brought us to this dangerous moment in our democracy, as well as a course of action to restore balance to our government and hope to our politics. If the opposition is an intimately familiar one—in the words of Pogo, ‘We have met the enemy and he is us’—then so is the solution. What we have broken, we can mend if we have the will to do so." 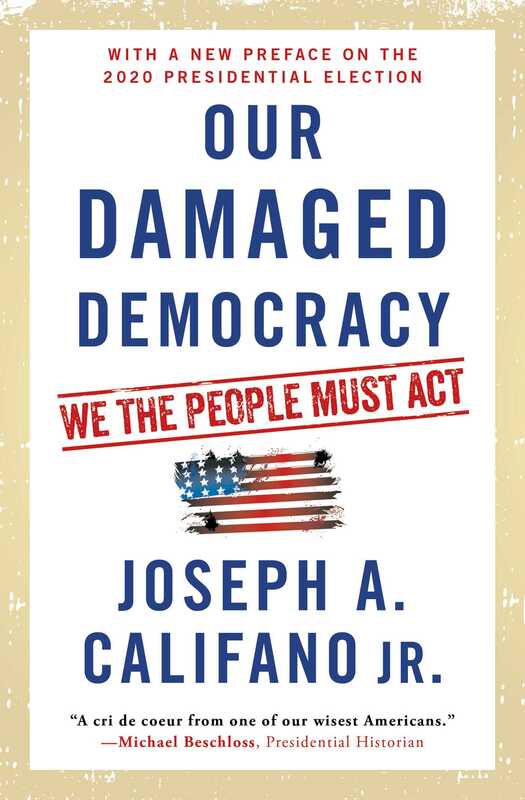 "Joe Califano serves up a fascinating and even-handed wake up call for we the people to understand and act to repair the damage to our democracy. Those who treasure our freedom should read this book." Author Photo (jpg): Joseph A. Califano Jr.
More books from this author: Joseph A. Califano Jr.